These days anyone with a smartphone can be a filmmaker. But filming a shaky eight-second clip of everyone butchering ‘Happy Birthday’ isn’t going to win you any Academy Awards anytime soon. Here are a few smart tricks that could take you from ‘quality’s hazy’ to ‘the next Scorsese’. Setting the right tone for your video is essential, and the best way to do that is by finding the right setting for what you’re filming. 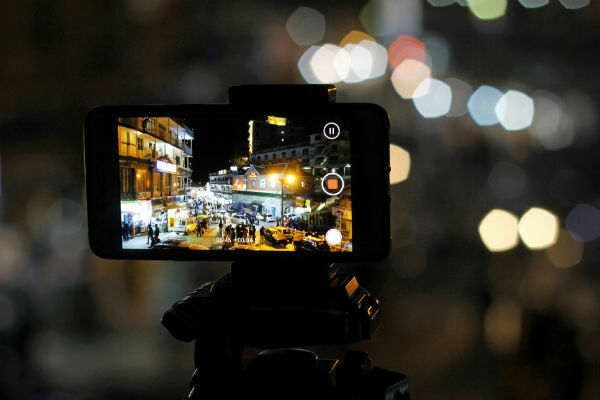 Your smartphone isn’t limited to shooting just one type of video. In fact, most of them offer a few different frame rates and resolutions to choose from. Android users can adjust their settings in the main camera app by clicking on the settings gear wheel. Or, if you’re an Apple user, just go to Settings, scroll down to Photos & Camera, and then go down to the camera section. There are three most commonly used video settings – but why are they different and what features does each one offer? 1080p at 24 frames per second is one of the two most standard settings for capturing video, creating an effective cinematic look. The speed, however, is just above the low end of what a viewer will see as ‘fluid video’ - with the odd chance of a few pixelated or laggy moments. 1080p at 30 frames per second is the other standard resolution. Because there are more frames per second, you get more accurate look of how you would have seen the scene in real life. 1080p at 60 frames per second takes filming a step further in terms of quality. The clip can even be turned into slow motion footage. Ideal if you want to add a bit of suspense, drama or comedy to your video. If you own a smartphone with 4K recording then you can capture more detail. What’s more, if you didn’t frame a shot in the way you’d like, or want to hone in on something specifically, you can crop in on a 4K video without impacting on its quality. Also, it’s likely that in the next few years almost every screen will be 4K compatible, so shooting in 4K could help make sure your videos look their best in the future. It’s worth bearing in mind that 4K video takes up a lot of space on your device, so make sure you’ve got plenty of storage space available beforehand. It almost goes without saying, but before you step behind the camera make sure the lens is nice and clean. The last thing you want is any obstruction - so give it a quick wipe with a soft cloth or cleansing wipe. The way that you hold your phone also plays a big part in the outcome. There are a few ways you can do this. You can tuck your elbows in as you hold the phone in front of you, use two hands or prop the phone up against something for support. After the steadiest of shots? Why not invest in a tripod from Currys PC World for a professional touch. Apart from the camera app already installed on your phone, third-party apps provide a huge range of shooting and editing tools – and in some cases even special effects. Perfect if you fancy adding a UFO sighting to your next summer BBQ. If you do use a third-party app, make sure you shoot more footage than you need so you can trim and cut later. Are you interested in shooting better videos on your phone? Got any questions or tips to share? Let us know in the comments.